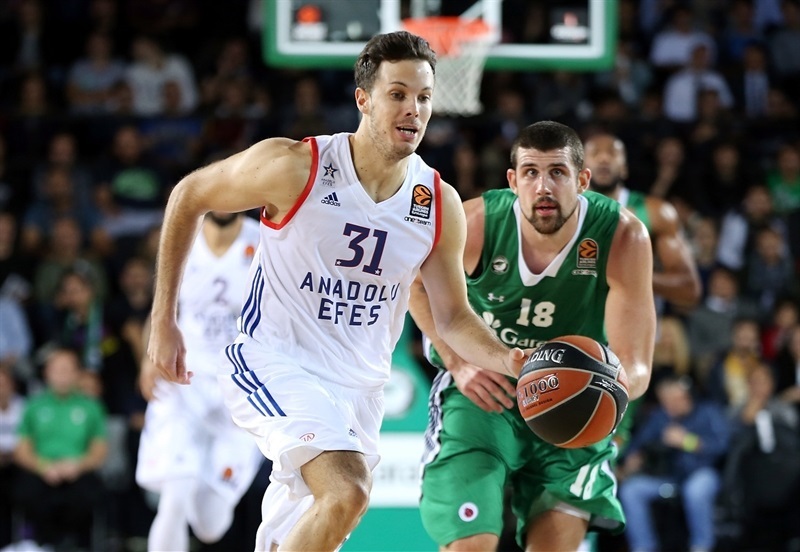 Anadolu Efes Istanbul trailed for 36 minutes, but rallied to register its first win of the season, edging city rival Darussafaka Dogus Istanbul on the road 79-84 on Thursday night. 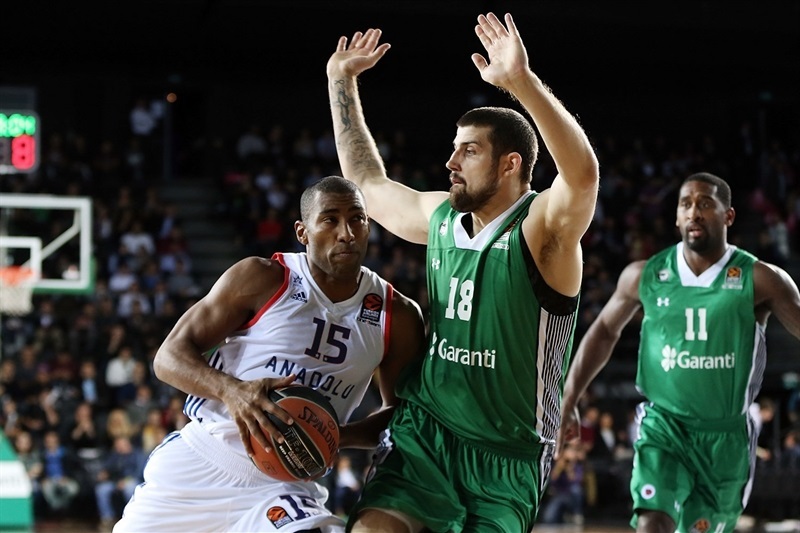 With the win Efes improved to 1-3, while Darussafaka dropped to 2-2 with two home losses and two road wins so far. 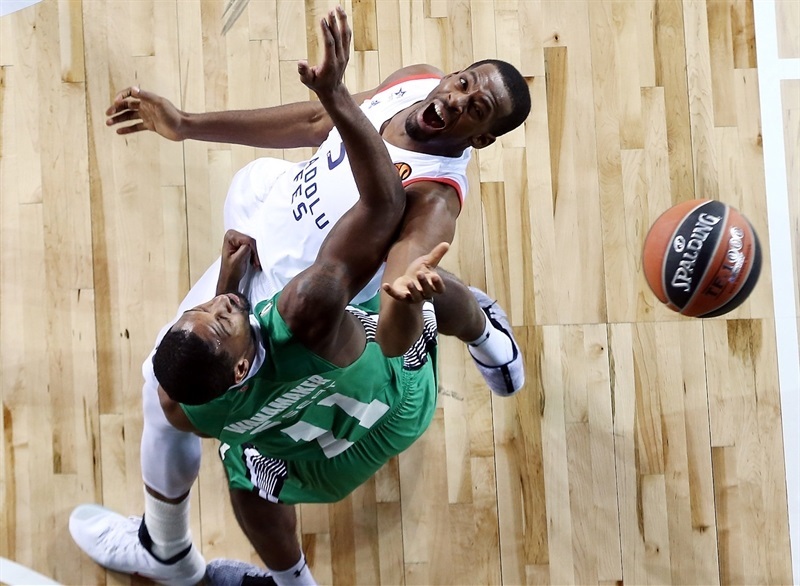 The hosts had a 13-point lead early in the third quarter, but Efes rallied behind DeShaun Thomas, who scored 14 of his 17 points in the second half, and Thomas Heurtel who also made key baskets down the stretch and finished with 15 points and 9 assists. Efes got its first lead, 75-77, with a little under four minutes left in the game and then scored the final 6 points of the night to pull out the victory. Bryce Cotton scored 10 of his 12 points in the second half, Tyler Honeycutt collected 12 points, 9 rebounds and 3 blocks, and Derrick Brown added 10 points in victory. 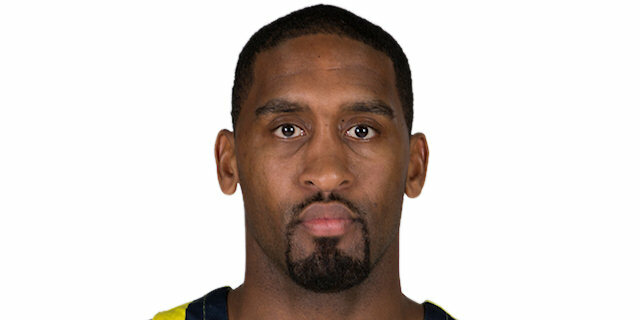 Scottie Wilbekin paced the hosts with 13 points, Brad Wanamaker finished with 11 points and 6 assists, while James Anderson and Marcus Slaughter had 10 points apiece in defeat. Anderson scored 7 points, and dished a pair of assists as the hosts opened the game with an 11-3 lead. 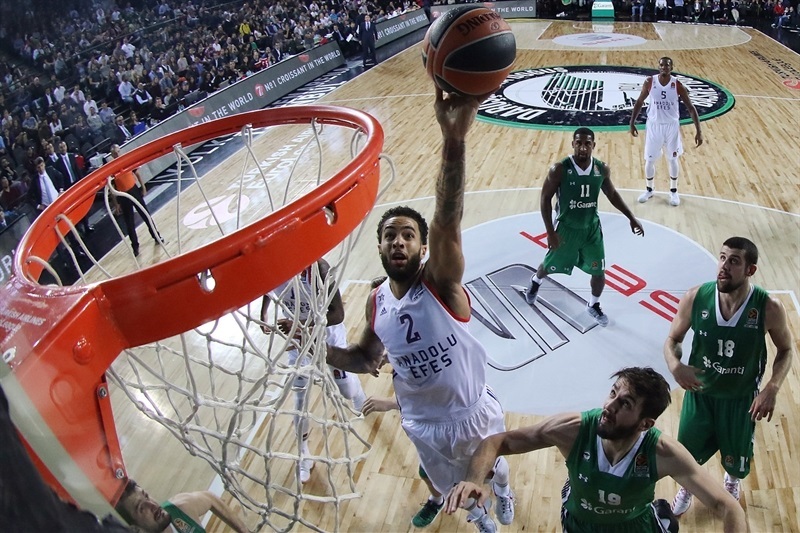 Efes dominated the boards, especially on the offensive end, but the hosts kept control and led 20-13 after 10 minutes. 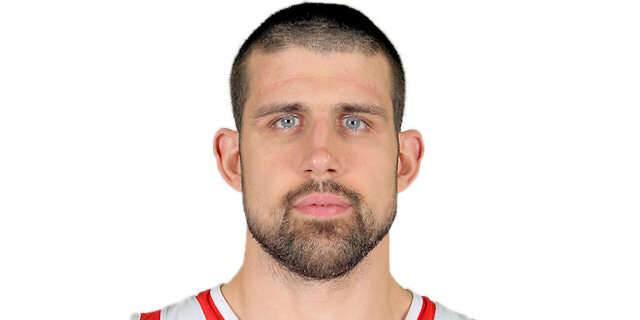 Dogus Balbay got Efes going in the second quarter, collecting a pair of steals, and with 3 offensive rebounds and as many assists helped the visitors cut within 22-19. But both Birkan Batuk and Wilbekin strung together 5 points apiece, and Oguz Savas had a three-point play in between. Wanamaker’s basket-plus-foul extended the margin to 38-28. 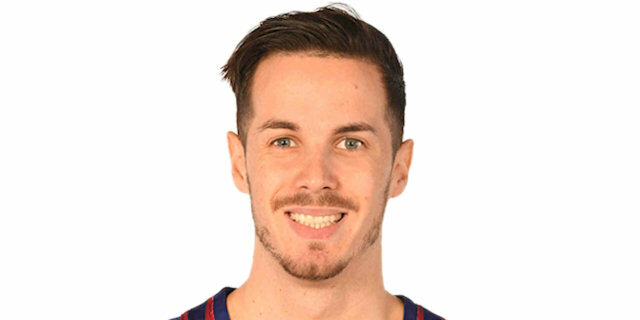 After Efes replied through Brown, Heurtel and Jayson Granger – who soon after got hurt and left the game – the hosts finished the half on an 8-2 run, including a buzzer-beating triple by Anderson to make it 46-35 at halftime. After the hosts increased the margin to 13 points, Honeycutt’s triple got his team going before Thomas scored 8 points, including a pair of threes. 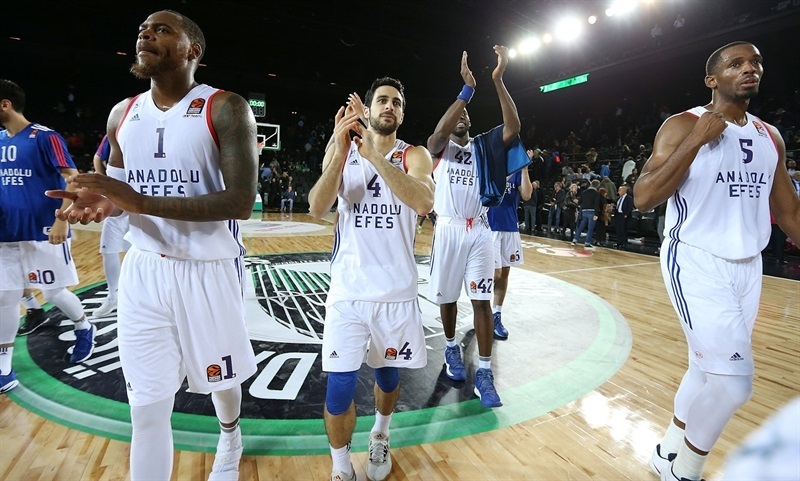 Efes got within 4 points on six different occasions, but Luke Harangody and Will Clyburn kept the hosts in front, and Wilbekin’s buzzer-beating three-pointer made it 65-58 after 30 minutes. 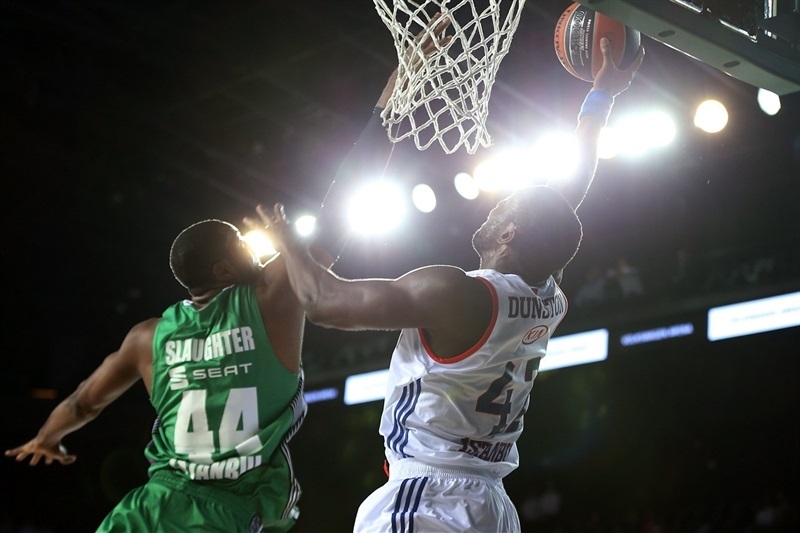 Efes took control in the fourth, and finally erased the deficit on Heurtel’s jumper, tying it at 73-73. 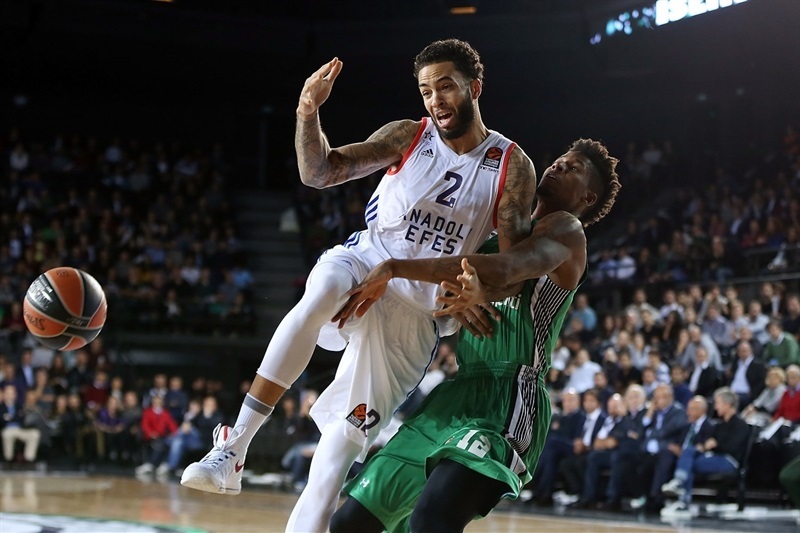 Brown’s short jumper gave the visitors their first advantage, 75-77, and Cotton’s runner with 52 seconds gave Efes a 79-80 edge, putting it in front for good. 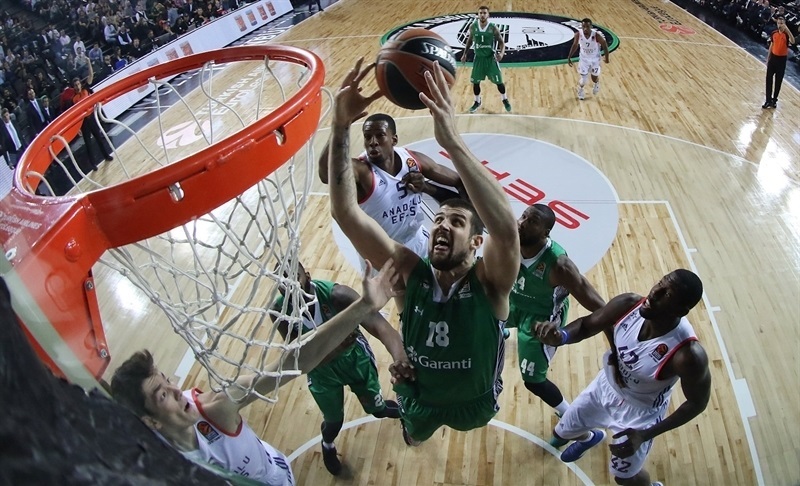 In Round 5, Darussafaka will look to get back to winning ways and extend its winning streak on the road at Zalgiris Kaunas, while Efes will be in search of its first win on its home floor against Panathinaikos Superfoods Athens. 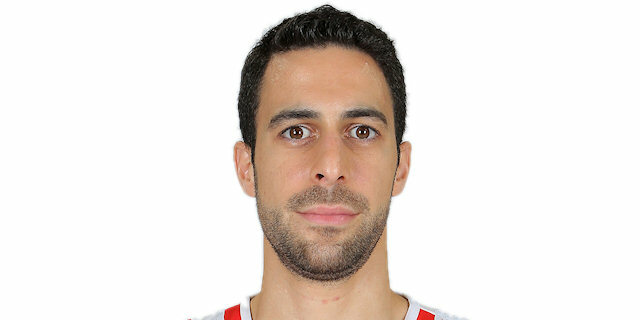 "Congrats to Efes. We certainly were good enough to win the game for three quarters. 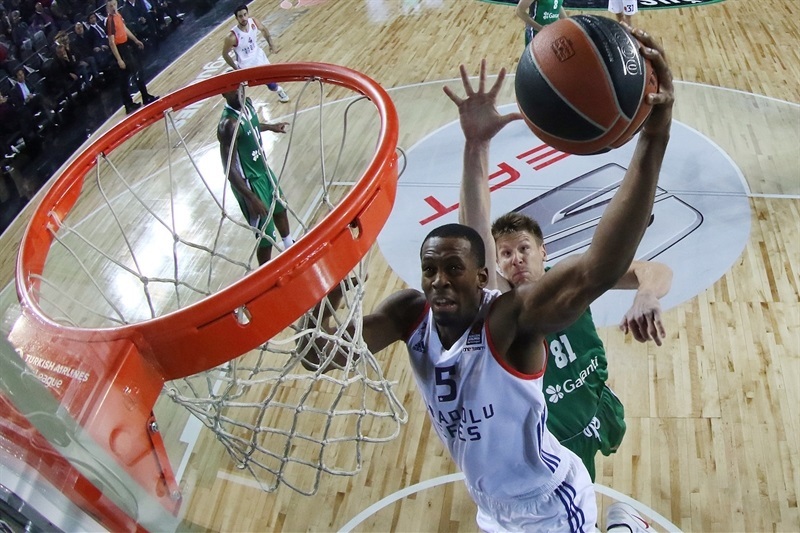 Efes played a very good fourth quarter, and it was very poor on our part. There is no consolation or reward playing well for 30 minutes. If you don’t play well for 40 minutes at this level, you lose. There are no excuses. We got to back to work and get better. Rebounding is not our biggest problem, it is turnovers. First thing we got to do is take care of the ball. " "After a 0-3 start in the Turkish Airlines Euroleague, we played against Darussafaka, a great basketball team which played well in both the pre-season and so far in season. It was not easy losing two games so far in the last second and last minute, but this victory is very important for us. In the first quarter Darussafaka played very good and had a good shooting percentage. We tried to catch them in the third quarter, and caught them in the fourth. I think in the second half the team was more focused. We played great defense, we fought for all balls and we had good percentages in shots. We are happy. We got many offensive rebounds, and forced them to make turnovers. We will see the extent of Jayson Granger’s injury tomorrow." "This loss hurts a little. We might have killed the game. But we just let them come back. We dropped a little bit our intensity. At the end we paid the price. We went to Kazan to win back the game we lost at home. Now we must do the same thing facing Zalgiris, which is a very tough team at home. We should leave behind this game and must focus on the following matches. The games keep coming. We must try to move forward." 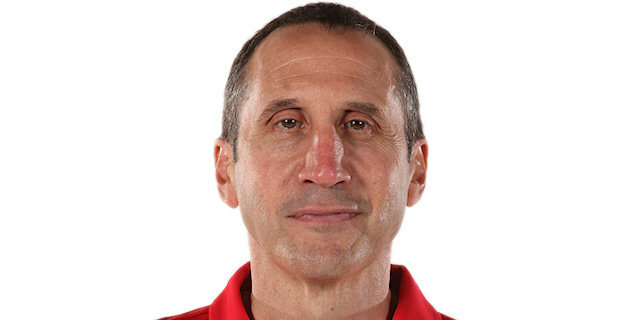 "Tough loss for us. Obviously the rebounds and turnovers cost us the win. But appreciated all the fans. They showed very aggressive support tonight. And we let them down again." "We are very happy. On the road we got our first win. I think we played really good game in 2nd half. We showed our character, and need to play like this every game. 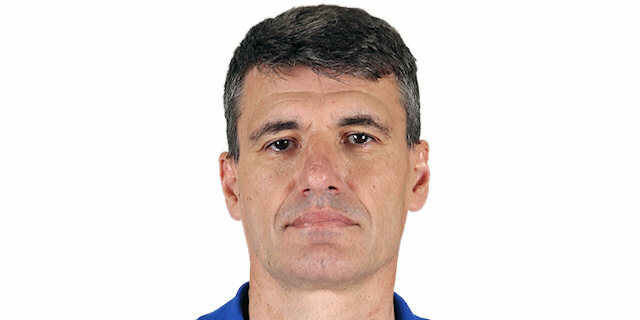 It is beginning of the season, and we know we have a new team with a new coach. We lost some [close] games, like against CSKA and against Baskonia. Today we finished the game well, and I think it is the most important that we got the win." "It was a must-win game for us. We fought really hard throughout the game. For 40 minutes everybody gave their effort on the court. It was a great battle against Darussafaka, but we ended up winning it at the end. We have to repeat this fight every game. This is just a beginning for us, we really needed this win. This is going to give us more boost for the next games."